Diwali festival was celebrated in Sofia by the Friends of India Club members. It took place at the Union of Architects building in Sofia. The Indian Day of light offered the invited guests unforgettable emotions and experiences. 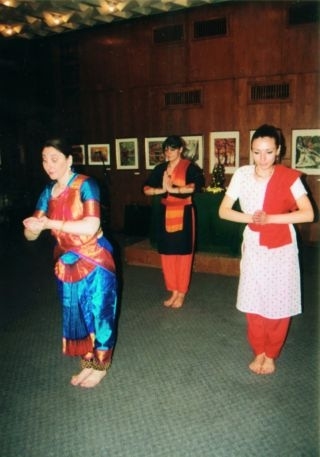 Diwali was celebrated in Sofia by Friends of India Club and the Embassy of India for the first time in October 2005 with a great festive evening. The main guests of the event were university students from the Indology Department and school children from the “Indira Gandhi” school and the secondary school for classical languages. The other guests included eminent representatives of the cultural life ­ Club members, prominent Indian businessmen working in Bulgaria, the whole staff of the Indian Embassy. 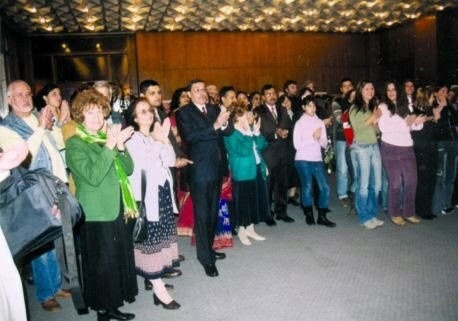 Ambassador Dinkar Khullar and the Vice President of Friends of India Club Evgenia Kamova addressed the guests, numbering more than 300, after which a programme of Indian music and dances followed, performed by Bulgarian friends of India. There was a lottery with prizes for all guests, the biggest of which was a graphic drawing of artist Yulii Minchev, donated by him, won by an MA Indology student. The buffet was with Indian food and ahe alley in the garden of the Union of Architects (where the evening took place), leading to the building and the hall, was lined by lit candles according to the tradition.